2fl oz / 59ml. lemon original Rainbow Fragrance. One bottle 2fl oz / 59ml. 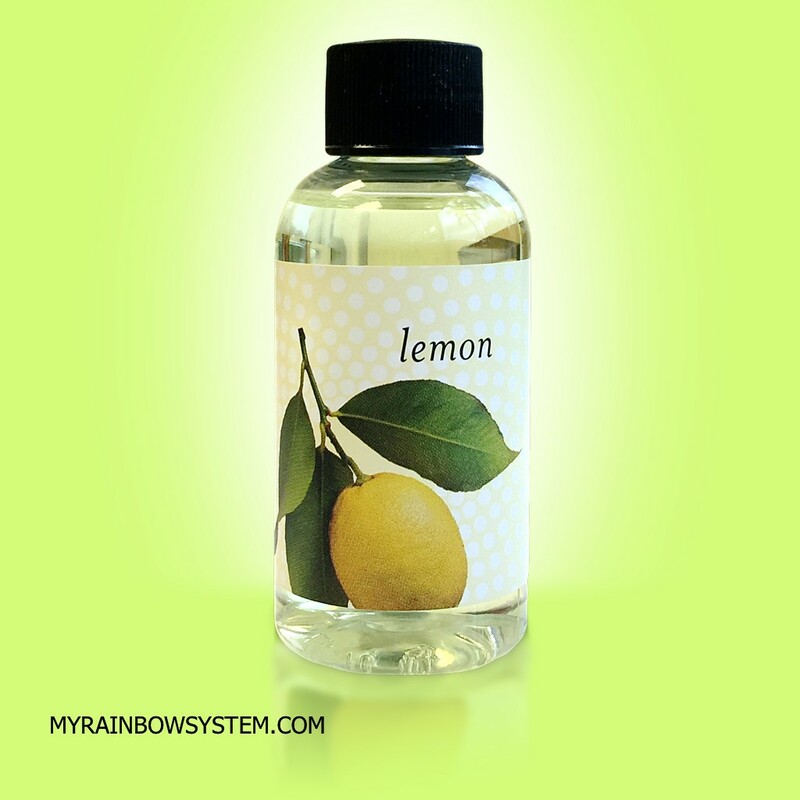 The original Rainbow Fragrance Oil Lemon, is one of the favorite choice for a citrus flavor. This scent has a relatively mild smell, reminiscent of a lemon tree, this fragrance usually last about five to six hours per application. Use our lemon oil with Rainbow or RainMate to flavor your home and create a clean environment in your home. 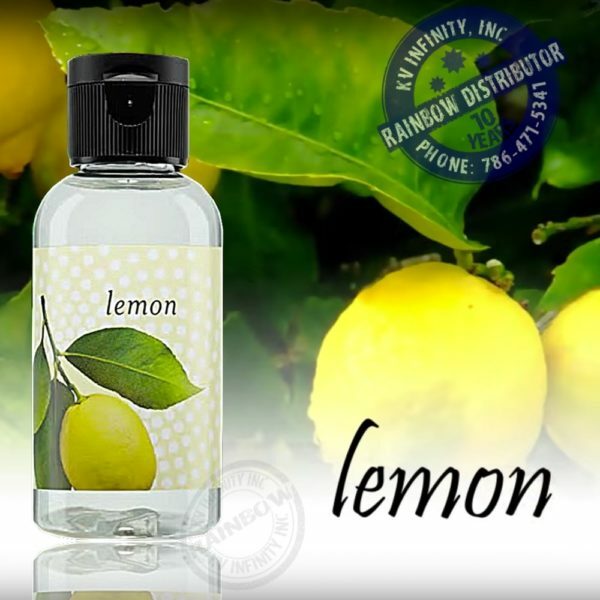 This product is sold by unit, but you can also buy it in package of four bottles of lemon, a bottle of lemon fragrance normally last for 5 days, if you use it daily with your Rainbow or RainMate. This is an original Rainbow Product, made in USA by Rexair LLC.